Blizzard wants to know what Hearthstone players would improve about the game, and they’re sending surveys to find out. Posted on Reddit by one person who got the call, the surveys ask everything from opinions on the Standard format to what features players would like to see added in the future. These include a full campaign, the idea of a ‘doubles’ mode for co-op versus play and more. What your Hearthstone game needs is the best decks, obviously. Thoughts on the Standard format, including whether it had refreshed the game, if it was more fun than Wild and whether Blizzard had done it purely as a cash-grab. How the person answering interacted with Hearthstone – posting on Reddit, watching Twitch, etc. This is likely so Blizzard can ascertain if certain communities think one way or another. As noted by replies to the thread, this likely isn’t for features that are coming any time soon. It’s data gathering for perception purposes, a wide net to add to automated information from in-game and direct feedback via forums or social media. Things Blizzard is thinking about, not necessarily doing. That said, if those features are of particular interest to you, letting Blizzard know is probably a good idea. In related Hearthstone news, a Priest deck will show up at the American Last Call tournament this weekend. It’s notable as the class has been generally seen as by far the weakest in the game for quite some time. 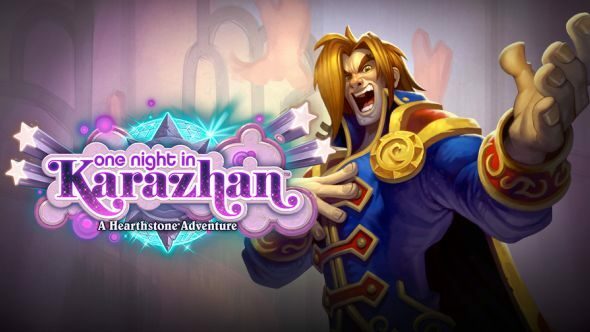 The player bringing it, Fr0zen, is seemingly targetting other control decks with all of his choices, and Priest’s mega-powerful late-game spells can do exactly that. Hopefully he wins to the sound of a Ben Brode laugh.